Diamond Dreams Tee Ball for boys and girls ages 3 and 4 will start Saturday, August 31, 2013. 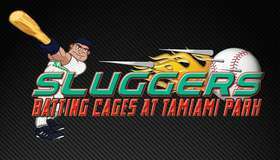 This is Miami's premiere FUNdamentals baseball league. Base to base running, defensive rotation every batter, game commentator (select games), music, a mini MLB experience. 305-219-2957 for more info.